Use a Vitamix Blender to Make a Delicious and Nutritious Green Smoothie! 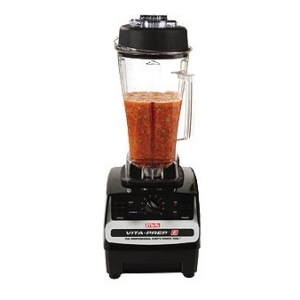 The Vitamix blender is quite well-known for the superior performance and durability of its construction. 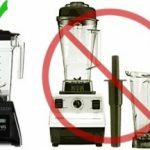 Both of these aspects contribute to its popularity; however, the Vitamix blender has recently gained increasing popularity with health food enthusiasts for its ability to produce nutritious and delicious green smoothies. 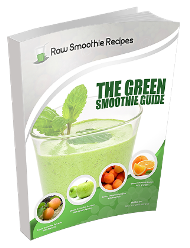 For those who are not familiar with them, green smoothies are smoothies that consist wholly of 100% organic and raw fruits and vegetables. Turning whole fruits and vegetables into a delicious liquid concoction is no trouble at all with a Vitamix blender. 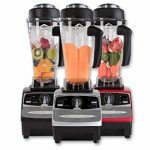 The blending blades of a Vitamix blender are constructed from 100% Japanese stainless steel, which greatly contributes to their durability. The motor is capable of reaching speeds of up to 240 miles per hour, which makes even the most difficult tasks in the kitchen more manageable. 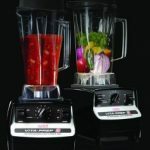 The highest speed setting on a Vitamix blender can chop, grind, and blend anything. 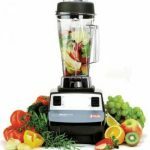 Another aspect of the Vitamix blender that allows it to make great green smoothie recipes is its ability to cut right through the cell walls of whole fruits and vegetables. First and foremost, in doing so, it blends the ingredients together quite well. You never have to worry about finding unprocessed or unblended chunks of fruits and vegetables in your smoothies, but it also release more of the vitamins and nutrients found in these ingredients than chewing alone can. Investing in your own Vitamix blender to make green smoothies is the first step in adopting a healthier lifestyle through green smoothies. Your Vitamix blender is covered by a comprehensive, 7 year warranty, so you never have to wonder about it breaking down or wearing out on you. In the end, you are going to agree that there is nothing quite like a green smoothie made in a Vitamix blender! could not download green book. Said it was damaged and unrepairable. The download is not corrupt and works just fine. I have heard this a few times before (very rare) but seems some operating system / browser combos have problems. A few things to try: 1) Try right clicking and using “Save File As…” if your on a PC instead of just clicking on the file. 2) If you have another computer please try downloading there to see if it is able to download. 3) Try using a different browser I.e. Chrome, Firefox, etc to see if it downloads using one of those.